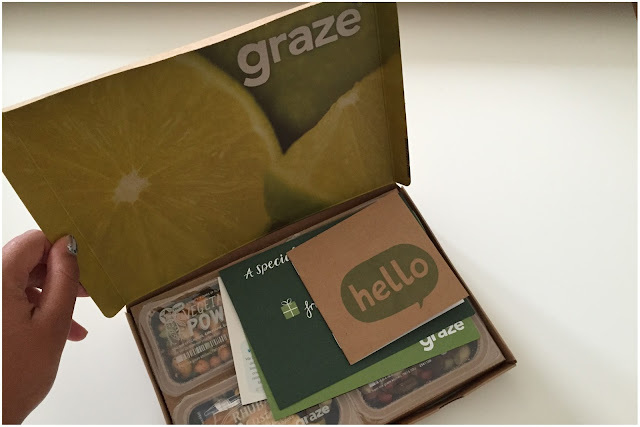 After three years of "pssst… your free graze box is waiting for you", I finally succumbed. 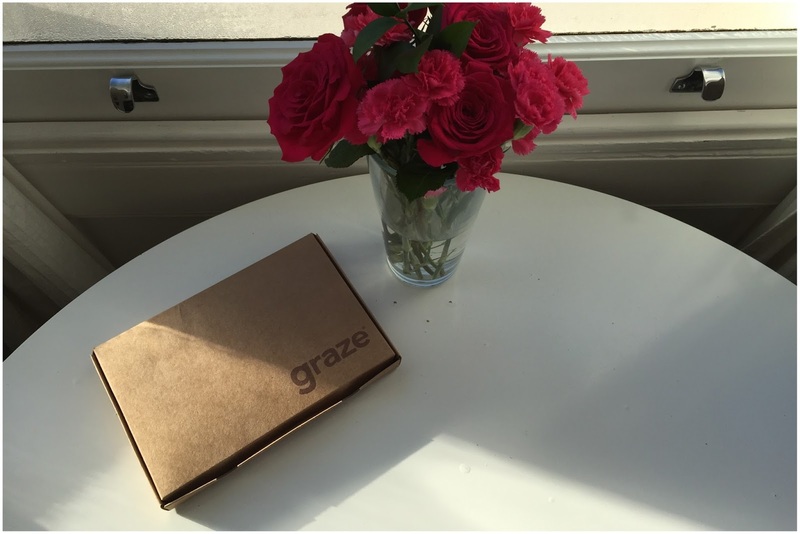 I wanted to find out for myself what all the fuss was about and why team Graze were so keen on emailing every week so I didn't forget about my patient little snack box. All of this probably because a friend or colleague had shared their magical discount-code with me and I never fully committed because commitment is just hard guys [#RealTalk]. For someone who [at the start of this experiment] kept thinking she could easily make her own selection of snack-combinations [but never did], I'm surprised that I'm going to see what my non-free second box of magical snacks will bring next week. That's right, snacks to my door isn't as ridiculous as I'd originally thought. Read on to find out what I had and my honest pros & cons. 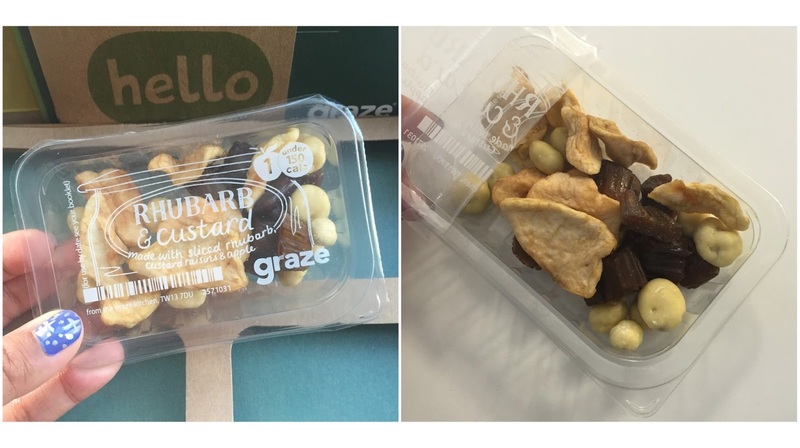 Before I get into the snackage, I have to comment on how impressed I was by the packaging and branding of the Graze box. I've seen these boxes before but for some reason the full impact of opening my first snack box was quite spectacular. Giant limes! Bright, colourful, fun and the typography they've chosen to use even looks friendly [if that's possible for a font… mmm friendly font]. Made me smile. my welcome pack included… a welcome booklet, x2 gift vouchers for family & friends and an ingredients booklet for the snacks included in this week's delivery. When you're faced with choice, just go with your hunger monster's gut feel. 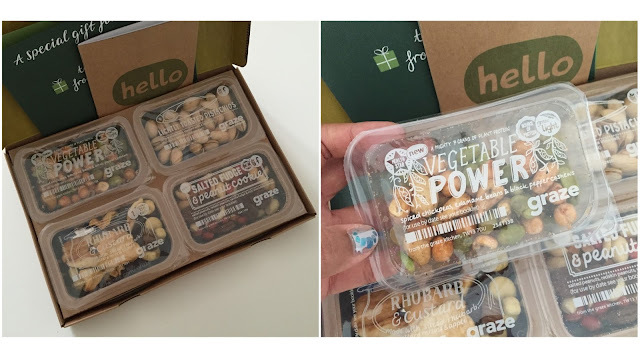 Tuesday was all about my first graze so I went for the great-named vegetable power made up of spiced chickpeas, edamame beans & black pepper cashews. || This was quite a salty combo [a little too much for me] and also a bit dry [had a beverage on the side to quench that thirst]. Some of my favourite ingredients in one magical cross-contaminated pot but sadly the flavour just wasn't quite right. 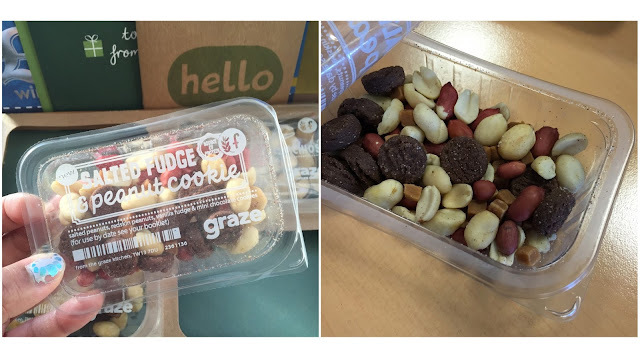 On Wednesday, I decided to go for a sweet option given Tuesday was all about that salt [team Graze kindly gave me x2 of each in my box]. Salted fudge & peanut cookie was made up of salted peanuts, redskin peanuts, vanilla fudge & mini chocolate cookies. || Oddly, this was also quite salty. However, the sweetness from the fudge balanced the flavour out. Cookies were a little soft but put all together this snack pot really did taste like its name. It also reminded me how much I love redskin peanuts. Definitely my favourite of the two savouries, Thursday saw me munching on some lightly toasted pistachios. 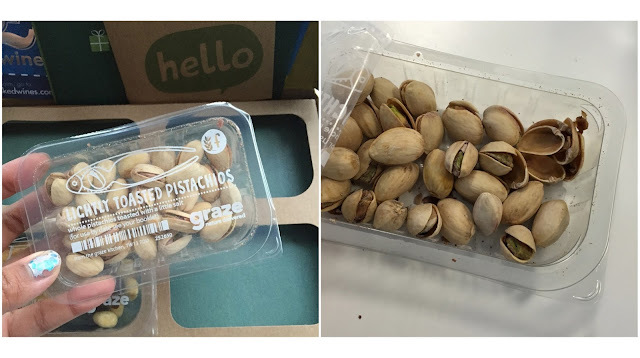 Of all the snacks, this one had the least number of ingredients - simply pistachio nuts & salt. || Again, a smidgen over-salted but still delicious. I could easily demolish a bag of pistachios any day but my designated snack-size ensured I only ate what I needed. I topped up my Friday feeling with a little rhubarb & custard number which was made up of sliced rhubarb, custard raisins & dried apple. || If you're a fan of sour sweets but want something relatively more healthy, then this little pot of goodness would be right up your street [the sourness from that rhubarb is still lingering]. I'm not a very sour-loving person but balanced out with the custard raisins, this was great. greedy me would have loved five boxes so I'd have a snack every day of the week! for busy [or lazy, whichever you'd like to call it] people this is a relatively fun and simple way to add a bit of fibre / vitamins / protein into your week. Plus, it's way more interesting than your average snack! will let you all know how next week's snacking goes… have a great weekend.